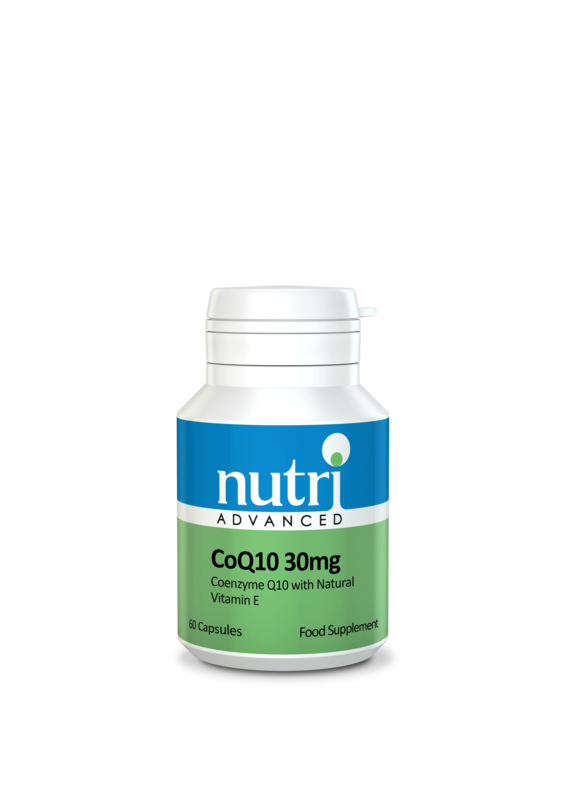 CoQ-10 30mg features 30mg of natural coenzyme Q10, which has been manufactured to achieve excellent quality, purity and bioavailability. This formula also supplies vitamin E for maximum stability and absorption. The electron transport chain converts the energy stored in carbohydrates into ATP, the energy currency of the body. Co-Enzyme Q10 is a critical component of this process and is the only free (unbound) carrier of electrons in the mitochondria's inner membrane. Inadequate Co-Q10 can cause free radical damage to mitochondria, which then causes a greatly diminished energy production capacity. The beneficial effects of CoQ10 are due to its ability to support energy production and act as an antioxidant. More active cells like immune cells require much more energy production. Adequate supplies of CoQ10 are essential for optimal function of these cell lines. Supports cardiovascular health and function, breast health, brain/neurologic health, muscle performance, periodontal health, and immune system health through its bioenergetic and antioxidant activity. Supports healthy cell-membrane stability for tissues throughout the body. An oil-base formula supports CoQ10's lipophilic nature, thereby enhancing absorption and bioavailability. Supplies vitamin E, which may support the activity of CoQ10. Take 1-2 capsules daily, or as directed.